The YA event of the year is finally here and Australia’s ever-growing community of young adult readers could not be more excited. 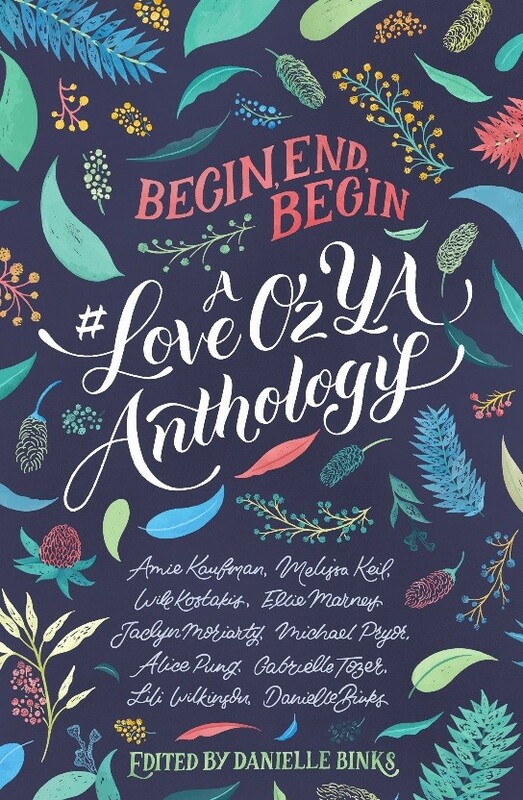 Following its initial announcement in December 2015, Begin, End, Begin: A #LoveOzYA Anthology has been long awaited as the next big YA sensation to hit our shelves. Amie Kaufman is the New York Times and internationally bestselling co-author of Illuminae and These Broken Stars. Her multiple award-winning books are slated for publication in over thirty countries. Visit amiekaufman.com to find out more. Melissa Keil has lived in Minnesota, London and the Middle East, and now resides in her hometown of Melbourne. Her YA novels, Life in Outer Space and The Incredible Adventures of Cinnamon Girl have both been shortlisted for the CBCA Book of the Year and the Gold Inky awards. Visit melissakeil.com to find out more. Will Kostakis is an award-winning author, but his real claims to fame are a Twitter spat with Guy Sebastian, and that time a member of Destiny’s Child said his name. Visit willkostakis.com to find out more. Ellie Marney is a teacher and author of the Every series, a highly-awarded YA crime trilogy. She advocates for and promotes Australian YA literature through #LoveOzYA, hosts the #LoveOzYA online book club and is a Stella Prize Schools Ambassador. Visit elliemarney.com to find out more. Jaclyn Moriarty grew up in Sydney, lived in the US, the UK and Canada, and now lives in Sydney again. She is the prize-winning, best-selling author of the Ashbury-Brookfield books (including Feeling Sorry for Celia and Finding Cassie Crazy) and the Colours of Madeleine trilogy (A Corner of White, The Cracks in the Kingdom and A Tangle of Gold). Visit jaclynmoriarty.com to find out more. Michael Pryor has published more than thirty novels and fifty something short stories. He is one of the co-publishers of Aurealis, a premier Fantasy and SF magazine. He has been shortlisted for the Aurealis Award seven times, and seven of his books have been CBCA Notable books. Visit michaelpryor.com.au to find out more. Alice Pung is a Melbourne author whose award-winning books include Unpolished Gem, Her Father’s Daughter and Laurinda. Visit alicepung.com to find out more. Gabrielle Tozer is an internationally published author from Wagga Wagga, New South Wales. Her debut YA novel, The Intern, won the State Library of Victoria’s 2015 Gold Inky Award, and its sequel, Faking It, is out now. Remind Me How This Ends, Gabrielle’s third YA novel, was released in April 2017. Her first picture book, Peas and Quiet (illustrated by Sue deGennaro), will hit shelves in July 2017. Visit gabrielletozer.com to find out more. Lili Wilkinson is the award-winning author of ten YA novels, including Scatterheart, Pink and Green Valentine. After studying Creative Arts at the University of Melbourne, Lili established the insideadog.com.au website, the Inky Awards and the Inkys Creative Reading Prize at the Centre for Youth Literature, State Library of Victoria. Visit liliwilkinson.com.au to find out more. Danielle Binks is an editor, book blogger, literary agent, and youth literature advocate. The short story in the #LoveOzYA anthology is her first book publication, and marks her as an emerging voice in the Australian YA landscape. Visit daniellebinks.com to find out more.